A Cleansing peeling based on natural active ingredients, removes dead skin cells, impurities and excess sebum. It smooths, brightens and evens skin tone. Does not contain fragrances or dyes. Use once a week. Apply a small amount to moistened face, massage with circular movements avoiding the eye area, then rinse with water. Use 1-2 times a week. 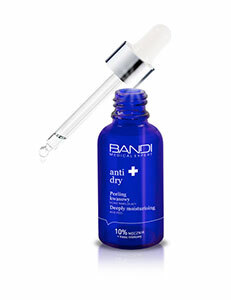 Apply a small amount to moistened face, massage with circular movements avoiding the eye area. Leave for 3-5 minutes, then rub the product off by gently rubbing the skin with dry hands.